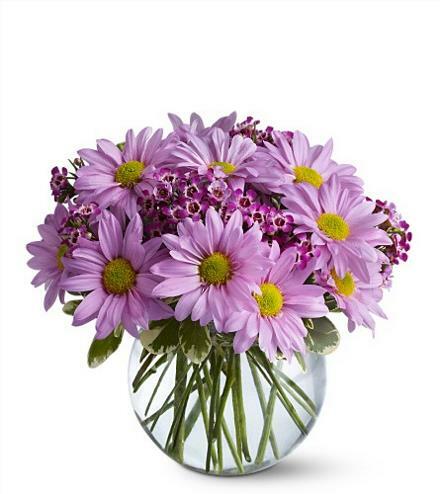 Anyone who loves the color lavender will delight in this pretty and purply bouquet of daisy spray chrysanthemums that's delivered in a bubble bowl and bursting with joy. Other colors available. Value priced flower arrangement below $60.00 - Delightfully Daisy.